On this page: Find links to everything you need to know about the International Experience requirement for Liberal Studies majors. Liberal Studies has over 10 programs of study, while SDSU offers hundreds. Financing is available to help you fund your international adventure. Start planning early! SDSU and the Liberal Studies Program recognize that student participation in approved international experiences is a transformational educational experience. Toward that goal, the Liberal Studies major includes an International Experience requirement. Liberal Studies students will enjoy spring break trips to Central and South America, as well as summer in Granada, Spain. Follow the steps needed to arrange and finance your International Experience, from creating a profile in Aztecs Abroad to seeing an advisor, getting a passport, choosing your program and destination, and more. See Steps to Study Abroad. Liberal Studies majors: Have you returned from a trip abroad? Do you have stories to tell and photos to share? Visit our International Experience Alumni page! View a range of photos from international trips taken by Liberal Studies students and professors. 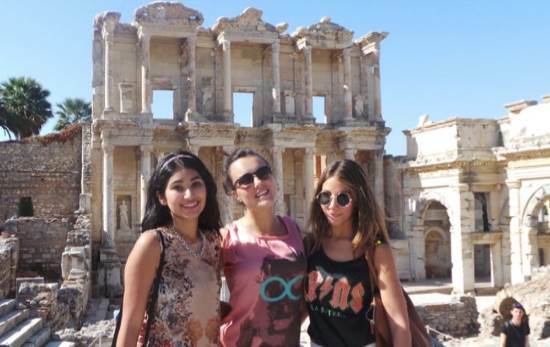 A: The LS program requires all students to complete an International Experience. There are no exceptions to this requirement. That stated, we do make accommodations for students who have verifiable and documented proof that traveling abroad will cause harm; examples are DACA and medical conditions.